The Arts Olympus brings together the arts and artist from every continent in the world, sharing the wonders of their spiritual, cultural and traditional contributions to humanity. The Arts Olympus is a nonprofit multicultural organization with a long track record in the public arena. Throughout the years, the Arts Olympus has staged countless free public arts events that run the full spectrum of the cultural arts. We believe that the arts matter and that exposure to artistic expression in all forms is an important component in developing harmony of body, mind and soul, which increases the all-around vitality of individuals and groups and better enables them to perform as peaceful, joyous members of the human race. The Arts Olympus is assembling artists of many cultures coming together to tour on a “Ship of Global Goodwill” with a dazzling display of performances for audiences worldwide to educate, entertain, and celebrate cultural diversity. Our Internet and television outreach will take it to an even greater audience in the millions creating not only a milestone in global understanding through the arts, but a milestone in the minds of all who believe that world peace starts from the heart. As the Arts Olympus prepares for this first time ever event to take to the high seas, we have been searching for a suitable location to create a land base for the “Arts Olympus Village” where we can assemble artists to compose, rehearse, and preview programing before we set sail. The “Arts Olympus Village” will be a self-sustainable and eco-friendly multi venue home for artists that will include galleries, theaters, dance and music studios, amphitheater, artist’s live/work space and a children’s arts center. Spectacular, exotic, and fascinating can only describe what will be experienced by all participating as we bring together some of the world’s greatest creative genius. Since word got out, the universe wasted no time in stirring up global interest in this international cultural hub. We are currently looking at locations in Central America with a major focus on Panama. Considered the “Gate Keeper” to the ships of the world, this unique location is indeed a major hub for the shipping industry connecting the world through the PANAMA CANAL. A perfect marriage for the Arts Olympus a ship connecting the world in global goodwill. The Arts Olympus has accomplished so much over the years and achiever countless goals that have touched the lives of so many people with programs worldwide. We need to continue that push forward and reach out to all the Angels in the world to help us go the rest of the distance with funding for our future home the “Arts Olympus Village”. Fortunately, building costs are considerable less in this part of the world allowing us to realize our dream much sooner than if we had to raise many, many millions of dollars. Architects are coming up with exciting drawings and this promises to be a location where not only artists but patrons can come and be in creative bliss. So, please take a moment and click the contribution button. We want to thank all of you for your current and past support regardless of it be large or small. Every contribution gets us closer to realizing our dream that we will share with the world. 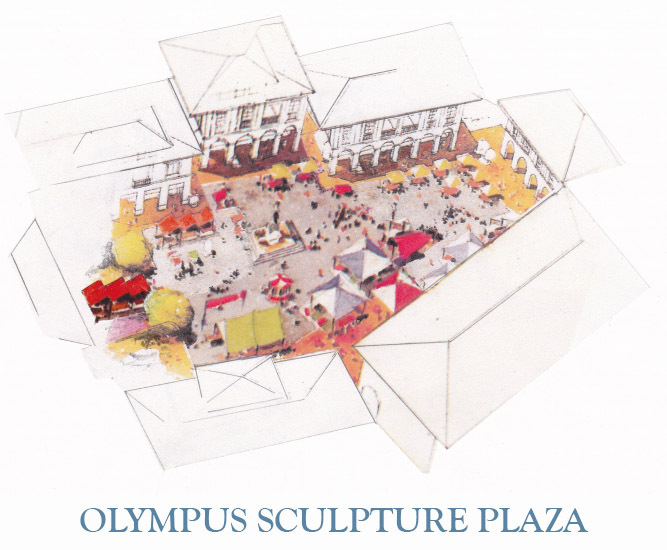 Our “Olympus Village” a self-sustainable eco-friendly community will host creative genius assembled from many nations. Spectacular, exotic, and fascinating can only describe what our audiences will experience. Tourists the world over will flock to this unique creative destination and find galleries, multi-purpose black box theaters, music, art and dance studios, artist’s live work space, children’s creative center, an amphitheater, and administrative offices. Unprecedented anywhere in the world, this unique “Olympus Village” will not only be an international cultural facility and educational institution but will create jobs, stimulate commerce, and increase regional tourism. Having acquired the land and currently working with architects, we are now half way to reaching our goal for the “Olympus Village.” However, taking us the rest of the distance, we are soon to launch a global campaign not only to raise funding but global awareness. This global outreach will consist of an international cultural celebration that we will take on world tour in shipping containers. Each container or containers, representing various countries, will be decoratively painted with flags and hanging banners while their specially designed interiors could include a mini movie theater, gallery space or a gift shop selling indigenous handy crafts. Clusters of containers will be artfully arranged in a city plaza for a viewing audience to spend a fun day touring imaginative cultural exhibits whilst all the time promoting tourism and marketing for the country. Going from port to port, the tour will find its final destination in Costa Rica at our construction site where people can come and get a sneak preview of the “Olympus Village” an international cultural hub.